One common defense of inerrancy is that, without it, confidence in Scripture is eroded, which will spread panic and chaos among the masses. The missionary/theologian Lesslie Newbigin–no stranger to the masses–spent much of his life as a missionary in India, and was a strong voice in the need to bring the Gospel to the post-Christian, pagan (his word) western world that has accepted the myth of Enlightenment objectivity. His blunt thoughts here on inerrancy exude commonsense, especially if you read it with a matter-of-fact British accent. The Qur’an-like Bible of inerrantists is an apt observation, and it is not hard to see this mentality at work at some of it most staunch defenders–a book that comes to us whole cloth from the vaults of heaven, always transcending the confines of shadowlands, it’s true home in the Platonic ideal world. 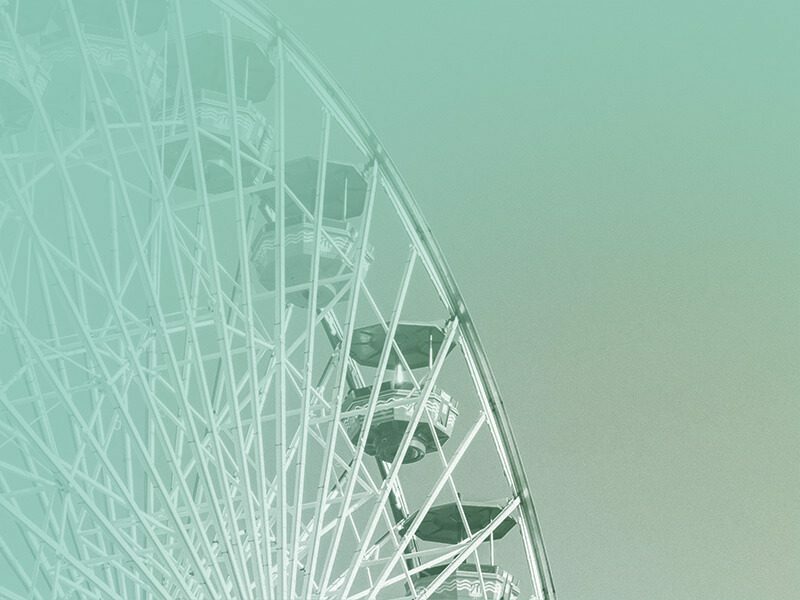 One can only hold the view of Scripture than Newbigin holds by taking seriously the incarnation and its implications for all of Christian theology. That holds for Newbigin’s view of missions and his view Scripture. The half-serious joke I heard while in seminary (as a student and a professor) was, “Heresy begins in missions.” That’s where you have to deal with actual people. When you do, you may find that you will actually be changed in the encounter at least as much as they, and that your theological system, as airtight and divinely endorsed and immutable as you might think, often does not work when you wander away from home. And so you need to learn to think differently about yourself, your world, the Bible, even God. The question is whether such shifts are evidence of a move away from pure truth toward heresy, or of growth and humility on the Christian journey. Several years ago, I would have been horrified at the thought that any sense of humility would be needed when discussing what I believe and why. To be bluntly honest, I’m still piecing together how I feel about it. I appreciate your “exegesis” of Newbigin– I think you are both spot on. My own experience in both cross-cultural ministry and cross-denominational work is that those are the places where we are forced to put our quasi-Christian nationalism on the line, as well as our (sub)-Christian confessionalism. 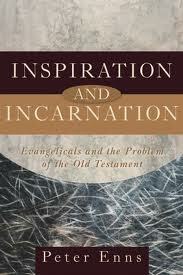 I have long thought that incarnation is the appropriate metaphor for Christian Scripture (cf. Philip Schaff’s introduction to the first American edition of Westcott and Hort, 1882). As someone has somewhere said: according to Judaism, God gave the Torah; according to Islam, God gave the Qu’ran. But according to Christian faith, God gave the Son. I’ve read Newbigin and completely missed this quote. Fascinating. I especially like the idea of heresy beginning in missions. It was my seminary work toward an MA in intercultural studies and the “messiness” of cross-cultural interreligious encounters that started me down my present path of dialogue and a very different way of encounters with those of other religions, one that seeks to take the example of Jesus seriously. Now I see it has implications for the doctrine and phenomenon of scripture as well. Great post. Bam – love it. I’ve thought for a awhile that there was some connection between Islam with the Qur’an & Fundy Christians with the Bible. I never realized Newbigin wrote that. Heresy does begin in missions but like Paul, it’s better to go to far than not far enough. The ill of non-contextualization is as worse if not worse than syncretism. I for one would rather move forward and be accused of experimental syncretism than lag behind and be guilty of traditionalist syncretism (accommodating the safe culture values) The idea that we have to play it safe to be safe is not from the life of God – it is conventional bs from human “wisdom” that may or may not be true. Either way, we need to read more Newbigin at the same time we are reading Paul. One more thing – while working with George Verwer, the founder and former director of Operation Mobilization, I heard a question from a well-meaning 19 year old Piperazzi. He had just found the (Baptist) Reformed tradition and was a bonified evangelist for Calvinism and was on the war-path to convince anyone who would listen that Calvinism was the most glorifying way to be a Christian. according to Judaism, God gave the Torah; according to Islam, God gave the Qu’ran. But according to Christian faith, God gave the Son. The reference to Islam by Newbigin is provocative and makes a very legitimate point about consonances between Islam and certain strains of “Christian” thought. Still, it’s good to remember that in Scott’s formulation Islam is placed out of chronological order. In a way that points toward the true source of the problem. In the religion of Israel there wasn’t a “Bible.” The idea of writings that were God’s words put down on paper came with developments in the late kingdom period and, especially with the development toward Judaism. I submit that a careful study of Jesus’ use of the Israelite scriptures will reveal that he didn’t actually share that attitude. What happened was that the early Christians who engaged in debate with Jews felt at a disadvantage when confronted with Jews who claimed to have the “word of God.” Their response was to adopt a Jewish model of “revelation” as sacred writings rather than as the Son. Of course adjustments had to be made–OT and NT. Islam later came up, unquestionably under Jewish and Christian influence, with its own version of this model of revelation. The point is, however, that this adoption of such a model of revelation amounts to a stepping back from God’s self revelation in Jesus–the Son. OTOH, it did have one happy consequence: full employment for exegetes, who for centuries have beavered away at typological reconciliations of OT and NT. Since the first Christians were Jews, together with God-fearer adherents to the synagogue, it is no surprise that they assumed a Jewish model of Scripture. In fact, they did not “adopt” a Jewish model of revelation– they were born into it, and naturally brought it with them when they were finally forced out of the synagogue. Although the (eventually identified as OT) canon was not yet closed, the majority was well-defined (Torah, Prophets, Psalms & Proverbs, plus…?). It seems to be the Jews who “blinked” first, rethinking their Scripture with new translations into Greek (Aquila, Symmachus, and later Theodotian), not least because the LXX had been co-opted by the Christians. Even Diaspora Jews eventually returned to the Hebrew text, and its limited canon (twenty-four [combined] books, without Apocrypha). Only with Origen, and later Jerome, was there much thought in Christian circles about embracing the Hebrew text in order to engage in debate with their Jewish counter-parts (cf. the excellent new overview by T. M. Laws, When God Spoke Greek, Oxford, 2013). Thus, viewed from this perspective and given that the early Christians–and especially those whose writings became part of the NT–were such devoted disciples of Jesus as to regard Jesus’ life as a world transforming event, there is no reason to assume lightly that the early Christians would accept the Jewish model of revelation. 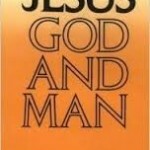 The Jesus whom they worshiped as divine was seen by them to have broken through all human bounds. The fact is, that even so relentless an exegete as Paul, when push comes to shove, rests his total argument on the person of Jesus: a crucified Messiah may be foolishness to Gentiles and a stumbling block to faith for Jews, but it is the facticity of Jesus’ resurrection that drives Paul on–it’s the power of God. Paul knew exactly why his proclamation was scandalous to Jews: it was because under no form of Jewish exegesis could there be a crucified Messiah. But the point is, that didn’t stop Paul; he wasn’t constrained by such issues because he embraced Jesus the person, not a book; it was Jesus in person who had loved him and given himself up for him–and then rose from the dead. That is what mattered most to Paul, and Paul could distinguish between those facts and any “model” of revelation. In my writings, when I camp out in and drive home the original meaning of the Old Testament–such as what I think the Adam story is doing in its ancient Israelite context, or how to understand Canaanite extermination–I am not marking off the boundaries of Christian interpretation. I hear this criticism now and then, and it is wide off the mark. Rather, I am trying to drive home the degree to which the Christian story requires a transformed reading of the Old Testament. Think about what Pete is saying there: neutralize, cancel out, or even subvert. He’s not describing a reflexive, culturally conditioned acceptance of an established model. It was only later that Christian writers, less touched perhaps by the spirit of Christ than the first disciples, fell into that pattern. There was certainly no inevitability that the Church would extend that Jewish model of revelation to cover their own writings (and that was my main point). I’ve been a missionary to Arab Muslim people for almost 20 years and I’ve seen first hand how this works. As a missionary trainer one of my first jobs is to challenge the new missionary’s theology and assumptions. Revelation? Inspiration? Tanziil? (Islamic inspiration) The gospel as a person or a doctrine? Some newbies can learn and adjust. Others just dig their heels in and raise the alarm back in America with deep concern about how far some missionaries have strayed from the truth. Well, the good news (pun intended) is that if you study the OT from the standpoint of faith in Jesus who rose then you won’t lose your faith. If you approach it from any other standpoint, you almost certainly never had Christian faith. Assuming the accuracy of these accounts, imagine the mindset of this priest. Did he really suppose that one’s genes should dictate one’s faith? That someone–anyone–should be turned away from membership in the Christian faith community because of their genes? What a wicked thing to do! Had he never reflected on the ethnic background of the Church during its first several centuries? I suppose, too, that he thought that land should be taken from one group of people and given to another based on their genetic makeup–and that such a proceeding was sanctioned by God! Totally bizarre. But the thing is, knuckleheads like this get away with saying such things because it sounds “pious”–hey, it’s in “the Bible,” right? And that’s the “inerrant” “word of God,” right? Père Marie-Benoît was a knucklehead? He smuggled around 4000 Jews away from Nazi occupation. I was obviously speaking of his theological/racial views. History is full of examples of people of great courage who were nevertheless knuckleheads. I would hope to have his courage if the need arose, but may God preserve me from saying such foolish things. I hope the distinction isn’t too difficult for you? Mark, I’m not an expert on Benoit’s theological views by any means but I suspect you are extrapolating too much from the quotes in that article (that he didn’t do conversions b/c of some conviction about racialism or ‘turned away’ Jews who wanted to convert). Even if he did hold some esoteric views (and I’m just speaking from content in the book review), I also think he acted in spreading the Gospel message through his actions and example more than any traditional evangelizing would have done. You’re also not giving justice to the fact that the Church’s historical treatment of Jews, especially in Rome, was deplorable and any actions of charity went hand in hand with conversion (sometimes forced). Marie-Benoit was surely aware of this history and it in turn influenced his views on the matter. 1. Of course I can’t be sure that these anecdotal accounts accurately reflect Benoit’s views. However, I have definitely heard these views expressed regularly, so I have reason to believe that the accounts are accurate. 2. I have no doubt that his actions spread good will toward the Church among those who heard of his deeds. I’m not sure that’s the same as spreading the Gospel message. 3. I’m quite aware that the Church hasn’t always behaved well toward the Jews, but Benoit is being reported as expressing a policy against Jews becoming Christians as a matter of principle–approval of that “principle” appears to be the main thrust of the review. No matter what the Church’s track record that makes no sense to me. That “principle,” as enunciated in these accounts, appears to rest on a literal, fundamentalist reading of “the Bible” which I reject as unfounded. Moreover, it seems to me a serious injustice to try to talk people out of following where their reasoned belief is leading them simply because of their ethnic/religious/racial background. Spot on. There was a time when I believed the Scriptures to be inerrant, but several things happened that helped me to shift my views. 9/11 was one. Islamic extremists following their interpretation of the “inerrant” Quran attacked the US and western culture. For Muslims the Quran has to be perfect because it is “God’s literal word”, it is their intermediary. The Bible makes clear that Jesus is the Word, and became human for the salvation of the world. The Scriptures give authoritative witness to the Word, Jesus, and the Gospel. Innerancy supplants Jesus and makes the Word subservient to the written word. I do affirm in classic Presbyterian thought, that the Scriptures are the infallible rule of faith (in Christ) and practice (obedience to Christ). I was wondering this: by “taking seriously the incarnation” am I required to believe that Jesus held false beliefs? I believe the other key doctrine in play is that of Kenosis. What did Jesus give up in the context of orthodox Christology? I’ve heard a number of sermons that have Jesus as a future-knowing, scientific expert. I’ve met plenty of laity with near-docetic understandings of Jesus and with no differentiation of the Persons of the Trinity in their prayer. But they know that they know Jesus. This, I think, exemplifies the difference between adhesion to an ideology–a system of abstract ideas–and the Christian experience of faith in the risen Christ. Jesus isn’t a theological system–he’s a person, the embodiment of the living God. Of course, we seek understanding of both God and what his self revelation in Jesus means–faith seeking understanding, as Augustine says. (!) But faith by its nature as reasonable belief can do no violence to facts, cannot seek to fit square pegs in round holes. That is the approach of ideology, which first develops a combination of ideas into a system and only then turns to reality for comparison. I always remember a line from my German reader. Someone informed Schopenhauer that his theories didn’t square with the facts, and the great man replied: Um so schlimmer fuer die Tatsache (sp.? )–So much the worse for the facts. Hi Mark, I’d rather define “faith” as “hope when the present evidences aren’t sufficient to decide one way or the other”. Would you agree this is a valid definition? No, I’ll stick with “reasonable belief.” I believe I got that from another German, Josef Pieper, some of whose writings I greatly admire. I have to feign faith with family. 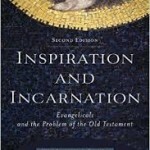 The other day, I brought up “the Incarnation” in passing with my believing cousin. He asked, “What’s that?” He’s inerrantist. I made one comment and navigated the conversation elsewhere. Heresy begins in missions??? These days the faithful are quite likely to encounter disbelievers who know the faithful’s nominally ought-to-be orthodox faith than the believer. When people witness to us disbelievers, we too have to deal with actual people. There is nothing that bothers me more about fundamentalists than this kind of exchange. It baffles me how a lot of these folks can talk about Christianity and the Bible with the kind of certitude that they do without actually knowing very much information at all about either. What is the psychology behind this? It’s stunning to me. I find no other area except religion where people are so cavalier about making authoritative statements about anything with so little humility given an equivalent lack of knowledge about the subject matter. We were vacationing together. Later, at a national park’s theater exhibit, we see the short video presentation on the geological history of the unique landscape. After, he makes a comment about what water erosion can do so quickly. There was a mocking tone. I silently pity the spiritual insecurity and cognitive dissonance yet also inwardly recognize the areas where he has his life together and I don’t. If I were to “come out,” I know my human vulnerabilities would be met with attack, not overriding compassion. You’re in; or you’re out. I’ve read Newbiggin and would like to think I could address such content with nuance and would even be delighted to discuss the winnowing of the wheat from the chaff and the sheep from the goats as best as we have possibly authentic sayings of Jesus of Nazareth. Heresy may begin in missions; sadly, missions ends in conversion, ostracism, or feigning of faith. My cousin has an escapist eschatology, docetic Christology, narrow pathed ecclesiology, and an overall Platonic and Cartesian worldview. I can’t see him bearing witness to the Incarnation as such and I can’t see the two of us having any reasonable conversation about faith. This is what encounter with actual people looks like. I was going to say I know what you’re talking about, but you tripped me up at escapist eschatology and docetic Christology. But I do know what you’re talking about. My (Christian) friend and I brought our kids to the playground a couple months ago. The conversation meandered from this to that, then veered to homosexuality, that whole nature vs. nurture debate. I should have veered off immediately, but sometimes when you see trouble coming, part of you says, well hey, could this really be so bad? I commented that some of the research I’d heard suggested an organic cause, hormones in utero or something like that. My friend immediately asks, what is my view of the Bible? I said I took it literally, except for books laden with symbolism, like Revelation, and the beginning chapters of Genesis. I told her that I think the theory of evolution makes sense… and things went downhill from there. She made a few provocative comments, like did I really think that monkeys evolved from dolphins, and people have always wanted to fly but we haven’t yet managed to sprout wings. What are you supposed to do? I’m not a good debater, not an intellectual; the right thing to say always occurs to me hours later. I felt pretty uncomfortable, but when she called my views extremist, I basked in that one for awhile, I have to admit. Me. Extremist. There’s a first for everything. “What is your view of the Bible?” I think Pete’s been hit by that litmus test question. Any version of any faith that has to resort to such authoritarian, power-based techniques of winnowing those-on-the-inside vs. those-on-the-outside is–if you ask me–categorically debased. “Panic and chaos among the masses” merely means that “I fear that I and those like me won’t be wielding disproportional power and control. The likes of those can either go bugger off, or kill me if they need me out of their way. Frankly, I don’t believe their on the right road. And whether or not their on the “Christian journey” brining along a caricature of their Jesus, I’d suggest we’d be better of with truth, humility, and growth. Aside from online, I usually keep my thoughts to myself (lots of religious folk in my family), but I for one am uninspired by the faith of most Christians (and non-Christians too if you need that nod to feel at least) I know. I first met Newbigin when I was at Mansfield College, Oxford (c.1981), where he led a few seminars on mission; and then I knew him as a ministerial colleague in the URC (United Reformed Church). Here is Newbigin observing how fundamentalism, “which treats the scriptures as a ‘scientific account’ of the things”, is itself a product of (as you call it) “the myth of Enlightenment objectivity”, “the autonomous reason dealing with ‘objective’ facts of the past. When, for example, the creation sagas of Genesis are presumed to be statements of the same order as Darwin’s ‘Origin of Species’, so that a choice has to be made between the two, the scriptures are being read through the spectacles provided by the Enlightenment. This kind of ‘fundamentalism’ is a product of modern culture, and its representatives find it easy to be very much at home in the modern world and to prosper on the terms which the modern world offers” (The Other Side of 1984 , p. 48) — even if it doesn’t recognise the cognitive dissonance in its own accommodations. Thus (with wry citation of Langdon Gilkey): “even the most devout fundamentalist in Texas, when prospecting for oil, consults the geologists and not the biblical scholars” (Foolishness to the Greeks , p. 46). Hi Peter, I appreciate your genuine and very relevant criticisms of Biblical inerrancy. But how can we, as progressive Christians, know who Mose really was and really did? His historical existence seems to be very important for Jesus and the whole Christian faith. William Dever, who rejects the historicity of the conquest of Canaan, believes there might have been a pretty small exodus of runaway slaves towards Palestine who might have been led by a single man and have undergone a religious experience on the road. But does it not undermine the truth of Christianity to say that many things attributed to Mose were invented or stem from mistakes? How are we to understand those steps if we reject the historicity of great parts of the Bible? More problematically, how should we deal with the fact that later traditions attributed a very problematic morality to Mose? When discussing with atheists or on the mission field, we ought to have good but honest and humble answers. Since this is an important question for most progressive Christians, I’d be very glad if you could give me an answer, for you’re a thoughtful and honest man. I certainly have my own ideas as to how handling these difficulties, but I do believe your expertise makes your thoughts much more relevant. I agree on #1 and #3 but not exactly #2. Numbers 1 and 3 aren’t reliant on the OT stories being historically true as described in the text, and #2 I believe to be human attempts to describe #3 than any actual “contract” God forged with the Jewish people. The objections to the Enlightenment entrapment were good up until this point, which, in fact, would have been the only self critical point made. Unfortunately, that is where the blindspots of critics often reside. There is no neutrality of knowledge when it comes to the Bible, but suddenly there is when it comes to science. That’s the best explanation of the Enlightenment mentality that I could possibly think of (i.e., knowledge of facts must be empirically gained, and is therefore objective; knowledge of a spiritual kind is purely subjective and cannot be hailed as absolute, which is largely a rejection of revelation). Notice, how other knowledge is pitted against “sure knowledge or factual matters derived from science.” This dichotomy goes unchecked in many of these postmodern/ultramodern claims. In reality, that “we all have presuppositions” is the most astute thing one can say about all knowledge. The very assertion that one cannot point to presuppositions in order to dismiss certain claims of knowledge begs the question, “Why not?” The only answer can be that presuppositions are thought to be less pervasive and less necessary to have knowledge than they truly are. It’s also clear that he is referring to detailed inerrancy, so if we just use the term “inerrancy,” it broad-brushes those who are inerrantists into one group. That’s like judging all evolutionists with the atheistic position of people like Richard Dawkins. It’s easy to fight with detailed inerrancy. It’s a little harder to deal with more conceptual approaches to inerrancy. btw, I do think it’s interesting that I decided, before I read this today, to write a post about how Christianity is continually being compared in our culture to Islam, both inside and outside the church. Haven’t thought about this much before, but looks like it’s in the air. Islam from the beginning has been a religion that imitates Christianity while denying all the central truths of Christianity. It also attempts to put Christians off of zealousness in their faith by making zealousness look bad. I especially like Newbigin’s piercing question about why Christ didn’t write anything. Finally, Lamoureux’s idea of “spiritual inerrancy” continues to intrigue me; it seems like a concept that might move traditional evangelicals past an impasse, though I notice that “spiritual inerrancy” has yet to be adopted by ETS. Jesus didn’t write because the Holy Spirit wrote. I find it amusing how naive theologians are regarding science, or, ‘science’ (because their working definition[s] of science itself is naive). I mean, just for instance, let’s take you into the world of massively large objects and see how ‘science’ breaks down rather hallucinogenically. Inerrancy is a very nuanced term we should treat with respect. We mustn’t assume it has only one or two meanings in the current debate on biblical composition and authority. An arrow may be inerrant in striking the target. I think we can count on God’s Word to do that. Now let’s debate ‘Word’. Is “inerrantist” your term or Newbigin’s? I am also wondering if the particular inerrantist stance that is being argued against is really simply a typical view held by the man in the street. In other words, have you constrasted a highly educated theologian’s view with a relatively uneducated layperson’s view? There are many man in the street opinions on a great many topics that I would avoid. I wonder if your essay would have been different if you had pitted Newbigin against a well-educated, strong advocate of inerrancy. I was recently on an airplane discussing some religion & philosophy with my wife; there was a pause and the woman in the aisle seat piped up, asking about our faith. She asked us if we interpret the Bible ‘literally’; I asked her if it is ok to observe nature ‘literally’ in this way: observe that a lead ball drops faster than a feather, and thus conclude that heavier/denser things fall faster than lighter/less dense things. In other words, we see the Book of Nature and the Book of [Special] Revelation both “through a glass, dimly”. We must be careful to not naively interpret either one! Peter, I appreciate your thoughts in these blog posts alot. Could you list some specific examples of errors/mistakes, and contradictions/inconsistencies in the Biblie? For example, I think of 1 Samuel 13:1. Is that the type of example about which you might be referring? Could you name some others that I ought to look into? Thanks! I think we have to be careful in how we define a “sub-Christian” view of Scripture. The Newbigin quote does show his concern with fundamentalists treating the Bible as a “compendium of factually inerrant propositions about everything in heaven and earth.” Yet Newbigin does seem to hold to the uniqueness and authority of Scripture in the lives of Christians. Whether it’s called authority, inerrancy, infallibility, individuals are trying to articulate the presupposition of all valid and coherent Christian thinking: “that God has acted to reveal and effect his purpose for the world in the manner made known in the Bible” (“The Gospel in a Pluralist Society,” p. 8). What follows is a larger quote of the context from which Peter’s quote was taken that illustrates Newbigin’s thinking on the issue of biblical authority. attempt is made to understand the biblical message in the light of modern thought. Yet no believer can really be content with this, since it assigns the final authority to what is called modern thought. What we are required to attempt is the much more difficult enterprise of trying to understand modern thought in the light of the biblical story. of thinking as a critic of it? More specifically can this book, one of many among millions of books which we call the book, the Bible, call into question the whole way in which I, as a member of this society, understand the world? business of the Christian church in any situation, is to challenge the plausibility structure in the light of God’s revelation of the real meaning of history. How is this to be done? Archimedes said, “Give me a lever and a fulcrum outside the earth, and I will move the earth.” Where can we find that Archimedean point outside our culture? Are we compelled to sit tight in the bus, even if it is headed for a precipice? Or can we appeal to the bible to call our culture in question?